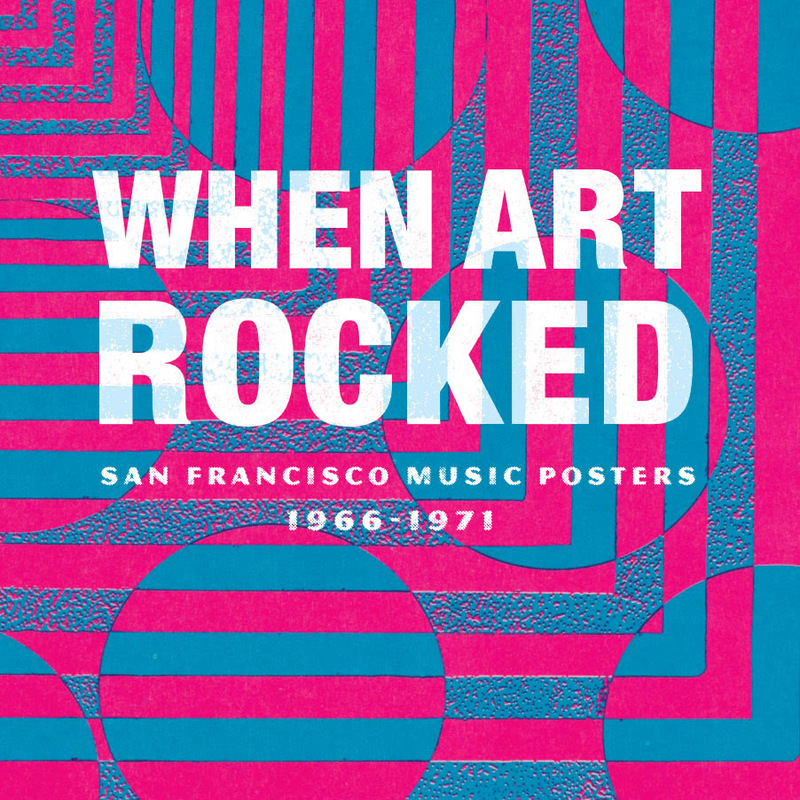 From 1966 to 1971, an unprecedented quantity of extraordinary graphic art was produced in the San Francisco Bay Area. This resulted from the demand for posters, handbills, and flyers advertising rock concerts in San Francisco. The two main patrons of this proliferation of posters were Bill Graham – who promoted concerts at the Fillmore and Chet Helms, leader of an organization called the Family Dog, which produced concerts at the Avalon Ballroom. Poster artists were often inspired by Art Nouveau masters such as Alphonse Mucha whose blocky lettering was made psychedelic by Wes Wilson. Alton Kelley and Stanley Mouse were further drawn to advertising art and appropriated images. Mouse and a Southern California artist named Rick Griffin were also infatuated with the artwork that grew out of hot-rod car culture. Victor Moscoso, on the other hand, created posters that nearly vibrated before the viewer’s eyes. This exhibition features over 150 posters created by these five artists along with many lesser-known artists who designed posters for shows at the Fillmore and Avalon featuring bands such as the Grateful Dead, Jefferson Airplane, and the Thirteenth Floor Elevators. Guest curator Ben Marks is the Senior Editor of CollectorsWeekly.com and the Vice-President of The Rock Poster Society, whose members kindly loaned all of the posters, postcards, handbills, tickets, and other ephemera for this exhibition. When Art Rocked is located pre-security in the International Terminal Main Hall Departures Lobby, San Francisco International Airport. The exhibition is on view to all Airport visitors from September 29, 2014, to March 22, 2015. There is no charge to view the exhibition. Yuko Ishikura liked this on Facebook. Mike Baker liked this on Facebook. Jason Ruderman liked this on Facebook. Leonardo Santos liked this on Facebook. Art of the Dead liked this on Facebook. Shawn H. Crozier liked this on Facebook. Andrew Olson liked this on Facebook. Blue Skull Tattoos liked this on Facebook. Shawn Orion Kelley liked this on Facebook. Fred Anderson liked this on Facebook. Chris Bates liked this on Facebook. Chip Hughes liked this on Facebook. John Goode liked this on Facebook. Jon Hahn liked this on Facebook. Patricio Sebastian Pomies liked this on Facebook. Joe William Bird liked this on Facebook.